Molly McDonald majored in Dance and English at Wake Forest. She has since gone on to NYC where she serves as Assistant to the CEO at legendary dancewear brand Gaynor Minden. We spoke with Molly to learn about her path to working with pointe's most prestigious supplier. *Update: As of 2018, Molly’s new title at Gaynor Minden is Business Operations Manager. Congrats, Molly! DeacLink: What did you study at Wake? How has your career unfolded since? 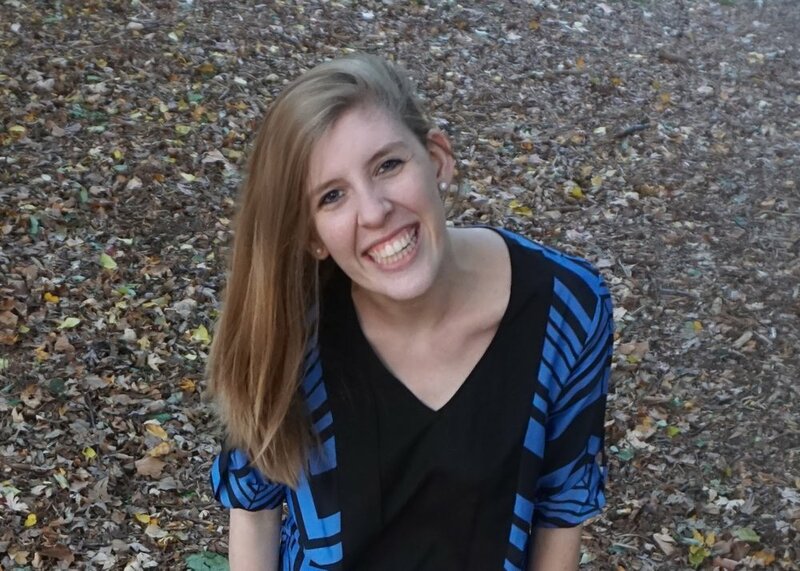 Molly McDonald: At Wake I majored in English and minored in Dance. After graduating from Wake Forest I moved to New York City to pursue my masters in Arts Administration at Columbia University. While in grad school, I interned with The George Balanchine Trust and the New York Choreographic Institute at New York City Ballet, and The Joyce Theater. I then simultaneously worked as the Managing Director of Cornfield Dance and the Administrative Associate of John Jasperse Projects. After doing a year of Christian mission work overseas, I returned to New York City and began working for Gaynor Minden. DL: Would you mind telling us a bit more about Gaynor Minden and what you are doing there? MM: Gaynor Minden is a global dancewear brand, primarily known for being the first brand to successfully modernize pointe shoes. While traditional pointe shoes are essentially made of paper and paste, Gaynor Minden offers pointe shoes with a modernized interior that is proven to offer these athletes better support and protection. Gaynor Minden pointe shoes are used at almost every major ballet company in the world, covering 85 countries at last count. I am currently the Assistant to the CEO, which is a constantly expanding and shifting role. I manage Human Resources across the seven states and five countries where we have employees, I assist the CEO with budgeting, I research international markets to aid our expansion, and I utilize marketing analytics tools to report trends and shape our future marketing efforts. As Assistant to the CEO, I truly assist the CEO with whatever is needed. If a problem or idea arises that requires considerable background research, I am often the person to do the initial legwork to move the project forward. DL: I would love to hear more about the program you completed at Columbia. What led you to enroll, and what’s the biggest benefit of the program? MM: I decided to pursue my masters degree in Arts Administration because I wanted to gain some more business knowledge before launching my career. Having a masters degree in Arts Administration definitely opens more doors to higher level positions at dance companies, and I wanted to be equipped with some more tangible business skills beyond the skills I gained through a liberal arts education at Wake. I considered doing a MBA program, but I found that the Arts Administration degree offered the benefits of the MBA while keeping all of the projects and examples focused on the arts world. I specifically decided to go to Columbia because this program offered the opportunity to spend two years networking with the best dance companies in New York City. My experience at Columbia was invaluable. Academically, it was amazing to be able to take classes with the Columbia MBA students and simultaneously work with professors in the Arts Administration program who were still working day jobs at some of New York’s top arts organizations. However, the largest benefit of the program was spending an intensive two years with the other students in my cohort. Each year, Columbia selects between 25 to 30 students for the Arts Administration program, carefully picking students to give each class a range of interests in the arts. It was an incredibly collaborative environment, as we were all learning the same general skills while pursuing our own unique niches in the arts world. Everyone was interning at arts organizations during the program, so class discussions included the added depth of what everyone was seeing and experiencing at New York’s top arts organizations. Rather than competing with one another for our dream jobs, we were able to share ideas from our roles at New York City Ballet, MoMA, The Metropolitan Opera, Christie’s, and many other organizations. My cohort still gets together almost monthly—this is a network that lasts far beyond graduation. DL: How have you found the different jobs and internships you've had? Applications? Networking? A combination of both? MM: Definitely a combination of both! I found my internships at Dayton Contemporary Dance Company and Dayton Performing Arts Alliance through family connections in my hometown. While at Wake, I interned with Winston-Salem Symphony, which was arranged as a part of an independent study with a professor. My internships at Boston Ballet and New York City Ballet came about through simply applying online, and then my boss at New York City Ballet helped me get my next internship with The Joyce Theater. One of my professors at Columbia referred me to the choreographer Ellen Cornfield who ended up hiring me as Cornfield Dance’s Managing Director during my last semester of grad school, and I found my job at John Jasperse Projects through a simple Dance/NYC posting. My current job at Gaynor Minden came about through consistently staying in touch with the CEO. I met the CEO while I was still in grad school and stayed in touch for almost two years before he offered me a position. DL: What advice do you you have for students interested in pursuing a career on the corporate side of the dance world? MM: Go to every dance-related event you can, and constantly read about what is happening in the field. Working on the business side of the field does not mean that you are removed from the art—it means you need to understand what is happening artistically and find a way to engage audiences, donors, and/or customers in these artistic directions within the context of the field at large. Go to performances and events for a wide range of dance styles and see how those companies/artists did with engaging you. Did they contact you before the event? Really read the marketing materials and analyze the design. How did you hear about the event, and how did you get tickets? Did they do something creative at the event? What type of venue was chosen for the event? What kind of language are they using to talk about the art? Did you keep thinking about the event days and weeks later? Why? Go to panels and discussions about both dance history and the future of the field. Watch documentaries about dancers, choreographers, and dance companies. Read previews and reviews. The more you can absorb as a dance enthusiast, the more you will understand what needs to happen from a business perspective to get the general public just as interested in the art as you are. Business knowledge can always be researched as needed for specific tasks, but an overall understanding of the dance field needs to be cultivated consistently over time. And any organization in the dance industry wants to hire people who can talk the artistic talk. Gaynor Minden only hires former dancers, and expects that all employees are passionate about ballet. Working for a non-profit dance company, you need to be able to understand where that dance company stands in the field and why the art being produced is significant. Basically, keep your passion for the art alive, but start bringing a critical eye to the strategic business decisions that companies and artists are making. Always be on the lookout for better ways to do things. DL: What has it been like living in New York? What advice do you have for students considering pursuing a career in the city? MM: New York City is the best. The opportunities to learn about the dance industry are endless, and extremely accessible. I truly think that if you are at all interested in pursuing a career in the city, you should just move here and give it a try. Even if the city is not for you, attending dance events and networking with people in the dance industry in New York will only be beneficial. Also, keep an open mind about how to start your career in the city. It is okay to not get a full-time job immediately—I have plenty of friends who piece together several part-time jobs and gain incredible experience. When I was working for both Ellen Cornfield and John Jasperse’s modern dance companies at the same time, I was able to get the experiences of two different roles simultaneously. I would do grant writing and studio space scheduling for John Jasperse in the mornings, and then I would spend my afternoons working on branding and website design with Ellen Cornfield. It was like being in marketing and development at the same time, allowing me to learn even more than I would have if I had held one position in one department. DL: What do you think Wake arts could do to better prepare students for life after graduation? MM: I think Wake should offer an arts administration course for performing arts students. Even if students do not actually want to become arts administrators, a general understanding of how arts businesses are run is extremely beneficial. Choreographers, dance school owners, and freelance artists all need to understand basic marketing, fundraising, and finance. I think that a course that goes over the basics would give all graduates more confidence in their artistic endeavors after graduation. DL: What's the best kernel of advice you can think to pass on to current students and recent alums? MM: Walk humbly and seek to serve. Going into a career in the arts is all about building communities and supporting the artists that are pulling communities together through the presentation of ideas and beauty. Go in with a servant mindset-- how can you find ways to serve both artists and the communities they live and work in? How can you serve your co-workers who are also trying to support artists and communities? Accept every opportunity with gratitude, even if it seems mundane at first. There is always more to learn, and there are always more opportunities to better support the people around you. Get Linked! Receive news, updates, and exclusive tips on career opportunities.